Many moons ago, Sena released new firmware for their helmet communicator modules including the best-selling SMH-10. I didn’t even know about said update until recently and am now going through the motions to install what looks to be a feature-rich upgrade. Universal compatibility, music sharing and sidetone access are just a few of the options I’m anxious to implement. The update process is tedious at best, however. Let’s face it … Sena manufactures electronic devices, not peripheral software for the garden variety desktop computer. Unfortunately, we need their janky software to get this job done, so I’m typing up this guide, complete with pitfalls. It’s important to note that I’m on a Mac. Windows users are likely to face a completely different opportunity for hiccups. For you PC types out there, I recommend watching this video before continuing to read below. Now, I’ve already done this once. My wife and I bought our communicators as a pre-packaged pair and my own component has already received the update. Believe me … it’s better that I compile this information having gone through each step rather than leaving you with a jumbled crossword puzzle of “instructions” complete with arrhythmically positioned swear words. 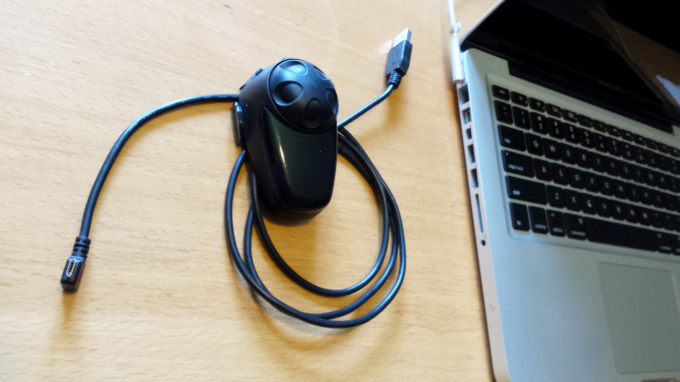 You’ve got your SMH-10 (or some other Sena bluetooth communicator), the USB cable that came with it and access to a computer. Don’t connect anything yet. The module should be completely powered off, with it’s respective cable unplugged from all ports. First, let’s download Sena’s update software. Said software’s location is a bit obfuscated on their website, so here’s a direct link as of this article’s publishing date. Scroll down until you see your platform and select the correct version accordingly. Once the update application is installed and without having connected anything yet, go ahead and open the app itself. You’ll see a message somewhere that reads “no device detected”. Ignore this as it’s simply a precursor to the step-by-step instructions we’re going to employ. Now that the app is running, leave things be. We’re attempting to sneak around any opportunity for bugs to bite. Without powering it on, plug your USB cable first into your module and then into your computer as if to charge it without it operating. Once you see that it’s charging, power it on as you usually would and in the case of the SMH-10, look for a flashing blue/purple combination light. 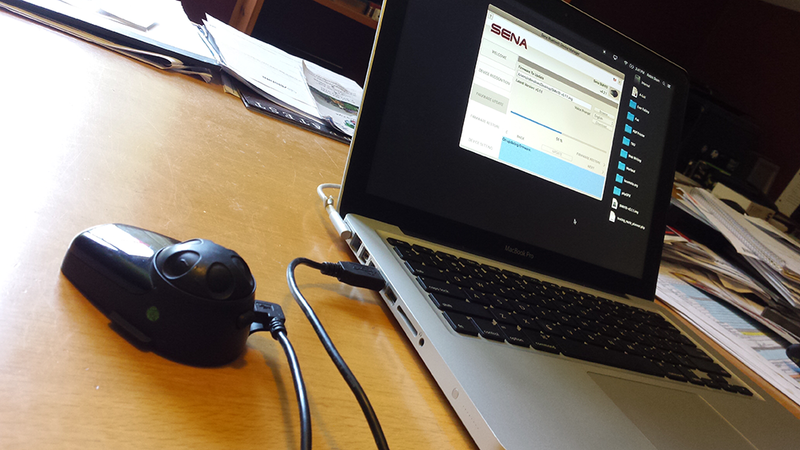 This should render the communicator and usb ports “detectable” by the Sena software. What Sena Communicator Tweaks Do You Find Useful? Their most recent firmware update certainly betters the module. What settings do you use? What do you like about them and why? Your input is invited. Post an article!